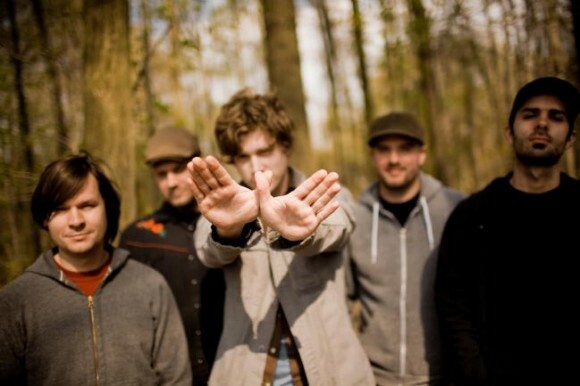 After a long history of line-up changes Relient K is now Matt Thiessen and Matt Hoopes. The band began in 1998 as Thiessen on vocals/guitar, Hoopes on backing vocals/guitar and Brian Pittman on bass. They were joined by Todd Frascone on drums. The bands first demo was All Work and No Play, which resulted in the band being signed to Gotee Records. Their debut EP 2000 A.D.D. came out in 2000. Frascone had left the band and Stephen Cushman stepped in on drums. Relient K their full-length was released shortly thereafter. Cushman was replaced by Brett Schoneman, who was then replaced by Jared Byers. Then Dave Douglas replaced Byers in late 2000. The following year the band released The Anatomy of the Tongue in Cheek. In 2002 they recorded “The Pirates Who Don’t Do Anything” for the TV series VeggieTales. The year after Two Lefts Don’t Make a Right…but Three Do was released. Later that year the band also released Deck the Halls, Bruise Your Hands. Their most popular album Mmhmm came out in 2004. At this time Pittman left the band and was replaced by John Warne. Jon Schneck also joined as a third guitarist/multi-instrumentalist. In 2005 the band contributed a cover of the song “Manic Monday” to Punk Goes 80’s. The band appeared on The Tonight Show and Jimmy Kimmel Live! that year as well. Mmhmm won the Dove Award in 2006 for the “Rock Album of the Year.” The following year Five Score and Seven Years Ago was released after some delay. This was followed by a Christmas album, Let It Snow, Baby… Let It Reindeer. Douglas left the band and was replayed by Ethan Luck. In 2008 the band released The Nashville Tennis EP and The Bird and the Bee Sides. The next year they released Forget and Not Slow Down and K is for Karaoke, an EP in 2011. In 2012 Luck, Warne and Schneck left the band. They band released Collapsible Lung summer of the next year.